For most Ancaster area residents, commuting to and from work or school, shopping and other daily functions, are activities that are done regularly and with little thought of the potential risk of an accident. Certainly, it is unhealthy for us to become fixated on the perils of driving; however, a healthy awareness of the risks of unsafe driving practices combined with the routine of practicing safe driving practices are key to reducing the likelihood that we cause an accident and will even reduce our chances of being involved in one. Distracted driving and driving under the influence of alcohol or drugs are the two most common causes of motor vehicle accidents that result in serious injuries or fatalites in Ontario. Most Canadians know what steps will eradicate the risk of an impaired driving offence: using a taxi service or designated driver, or staying at the location where you have been drinking, are simple solutions that are increasingly practiced by many. Distracted driving is a more complicated problem as it pertains to a whole range of behaviours that take our attention from the road, including using technology while driving, eating or drinking, reading maps or other materials, applying makeup, changing music selections and even becoming distracted by our passengers or children. Often, the solution for distracted driving is simply to pull over to the side of the road to make a phone call, check a map or deal with a passenger issue. As well as abstaining from any distracting behavior, drivers need to ensure they are adequately rested, in terms of getting sufficient sleep and taking breaks during a long drive. Speeding is another common causal factor in motor vehicle collisions in Ontario, and also in accidents that cause injury to cyclists and pedestrians. In many cases, there is little gained through speeding, in terms of reduced time travelled, particularly in urban centers. By giving ourselves enough time for our commute, we reduce the likelihood that we will be tempted to speed. All collisions carry the potential for a catastrophic injury from which an accident victim sometimes never fully recovers. Partial or total paralysis, brain and spinal injury, severe disfigurement and blindness are catastrophic injuries that befall some accident victims in Canada each year. Fender benders may result in only minor injuries that eventually heal, but even these may be painful and for a time, a great inconvenience in terms of our normal mobility. We may believe that accidents are unpredictable and that is certainly sometimes true, but many collisions can be avoided through prudent decision making and defensive driving practices. When the cause of the accident is determined to be negligence on the part of a driver, the innocent victim may sue for damages. The amount of ‘damages’ considers what circumstances and level of health the victim might be in if the accident never occurred and compensates the victim accordingly, for their losses. Victims may receive damages for pain and suffering and for their reduced enjoyment of life. They may also receive damages for financial costs, such as current and future income, medical and rehabilitation costs, housekeeping costs and so on. For example, in the Marcoccia v. Ford Credit Canada Ltd (2008) trial, the jury awarded one of the car accident victims of a collision in Toronto, Robert Marcoccia who was 20 at the time of the accident, almost $ 14 Million in ‘future cost of care’ as well as significant damages for loss of income and pain and suffering. 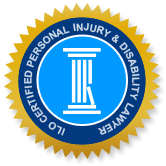 The accident victim in this case experienced severe brain injury and reduced mental functioning that will permanently affect his ability to lead a normal life and be gainfully employed. Closer to home for Ancaster residents, a three car collision in 2013 resulted in death for a 30 year old Caledonia man, serious injuries for a 57 year old man and minor injuries for 32 year old woman. The accident involved an SUV, a van and a compact car, and Hamilton police faced an investigation to determine whether speed and/or errors made in passing were factors in the cause of the collision. Another three car collision in 2014 resulted in the death of two 21 year old residents of Hamilton and Stoney Creek. The two young men were hit head-on by a large truck that veered across the road after being side-swiped by another driver who had lost control of their car. A 64 year old passenger in the truck also sustained serious injuries. In the course of police investigation of these Ancaster collisions, as for any motor vehicle accident in Ontario, it is likely that some of these drivers will be determined to be at fault. Accident victims who were seriously injured or in the case of wrongful death, the families of these victims, have the right to sue for damages when their injuries were the result of negligent driving. The family and friends of victims, particularly in the case of fatalities, suffer pain and distress that is immeasurable, and there are often financial costs for these families as well. For any seriously injured accident victim, the road to recovery can be long and painful, and it often takes years to assess the long term and permanent damages for the victim and their family. Personal Injury Lawyers of Ontario (ILO) attorneys are members of a group of experienced personal injury lawyers in local firms throughout Ontario whose focus is to provide excellent representation to victims of accidents, including motor vehicle accidents, slips and falls, and product liability cases. If you have been injured in an accident, contact one of our lawyers immediately to determine the strength of your claim and get the compensation you deserve.